Ledger account form presents the details of each transaction that belongs to various ledger types such as assets, liabilities, expenses, revenues, etc. by providing information like transaction date, particulars, debit, credit, and balance amount. They provide ledger accounting information for a particular period. They enable to know the balance due from a customer. They help in preparing various account statements like income, profit, and loss, etc. To know more about Account Forms one can search Google using accounting expense forms and blank accounting forms. 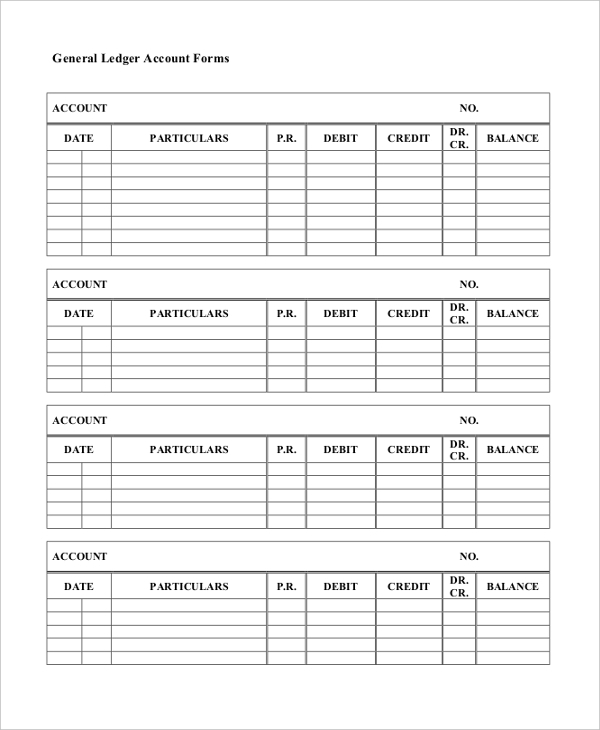 This blank ledger account form presents the account number, date of the transaction, particulars of the transaction, post reference, debit, credit, and balance. One can take a printout of this ledger and use them easily. This personal ledger account form presents the company name, address, current account number, and registration number. It provides the list of ledger entries like date and serial number, particulars of debit or credit transactions, transaction number and date, debit or credit amount and balance amount. 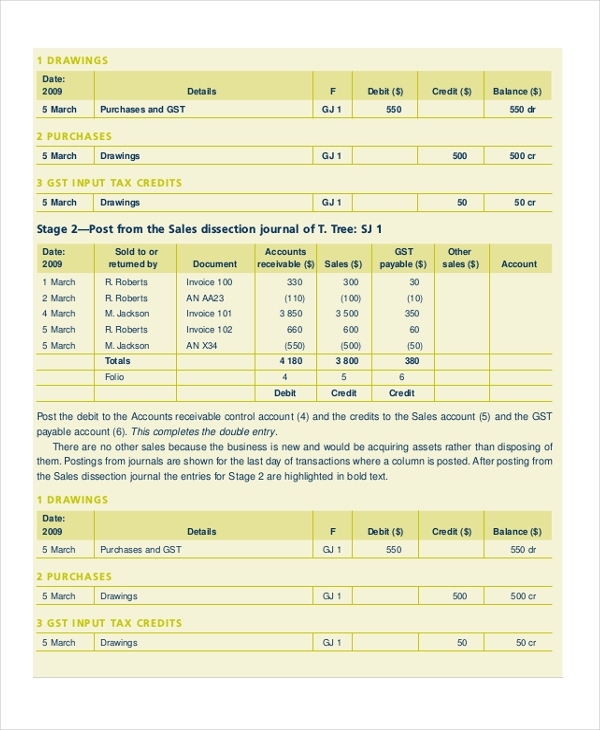 This general ledger account form presents the details of drawings, purchases, GST input tax credits and sales transaction details. 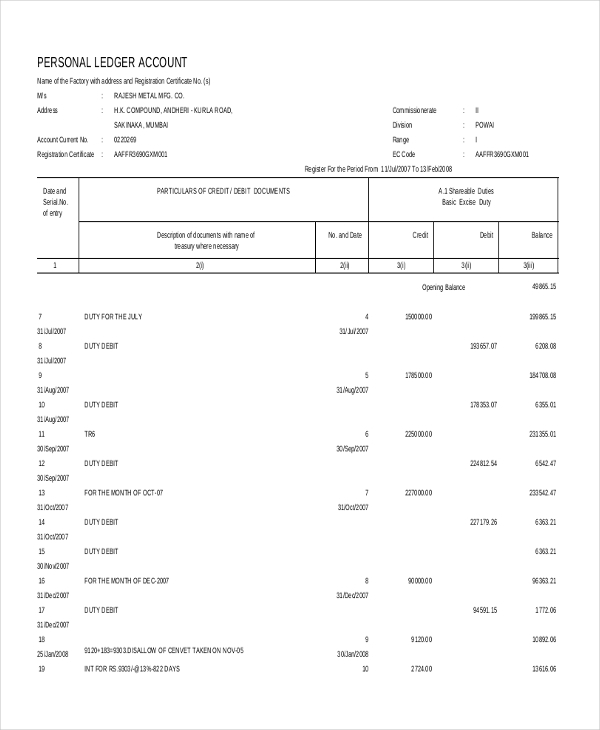 It also presents the account receivable details like drawings, purchases, debit, credit and balance details. It also presents post from purchase journal, cash payments, and cash receipts journals. 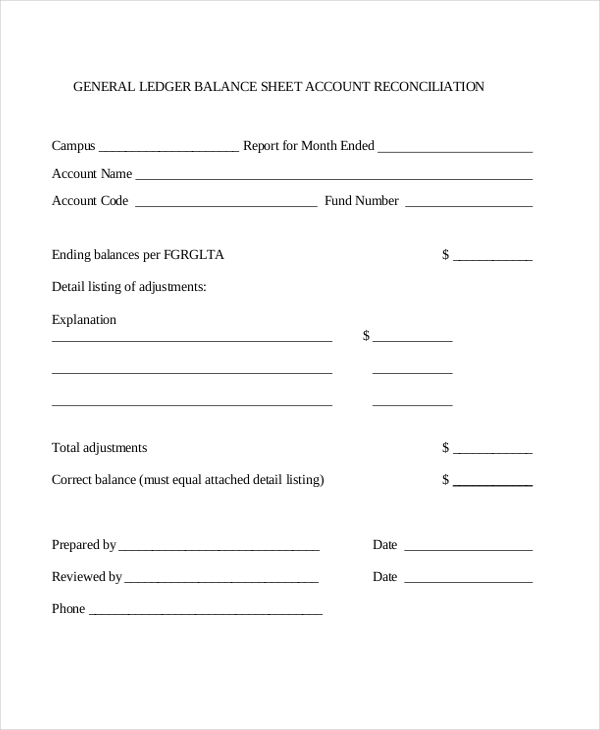 This general ledger balance sheet account reconciliation form presents the campus name, the month of the report, account name, account code, fund number, ending balances, detailed listing of adjustments along with explanation and amount. 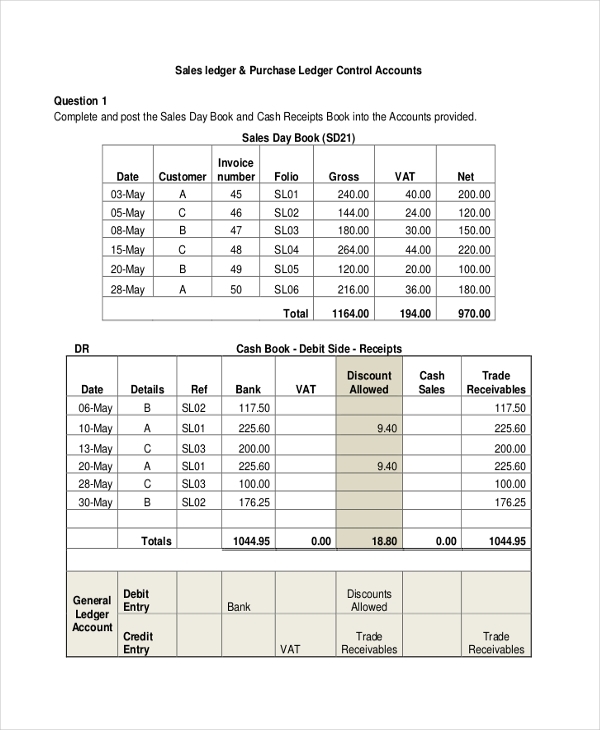 This sales ledger accounting form presents various questions on the sales day book, cash book, general ledger, sales ledger, purchase day book, purchase returns book, cash payments book and purchase ledger. What to Include in Ledger Account Form? Ledger account form contains all the details and information about various accounting transactions that took place for any business. They include information about the transaction; cash or bank, the transaction date, purpose and narration of the transaction, whether the transaction is debited or credited to the account, the account balance. They include the above information for each ledger type like asset, expense, liability, etc. They also include transactions belongs to cash book, day book, purchases, sales as well as returns from purchases. They also contain a posting reference for each transaction. What are The Benefits of Ledger Account Form? They help to build financial statements like balance sheet, profit, and loss, etc. There are enormous varieties of ledger account forms available on the internet and one can download the suitable one according to their accounting needs. They come in printer friendly formats like word or PDF documents and are easy to customize as well. These forms are highly dependable and valuable for any business firm to perform accounting process.